Want to work part-time from home to be with your kids and make more than your husband in his full-time job? That’s the reality for some of the women that I work with, and it can be a reality for you too. I’m a mom to a beautiful six-year-old little girl and when I fell pregnant, I had a vision of being a hands-on mom but I still wanted to develop myself and my business career. 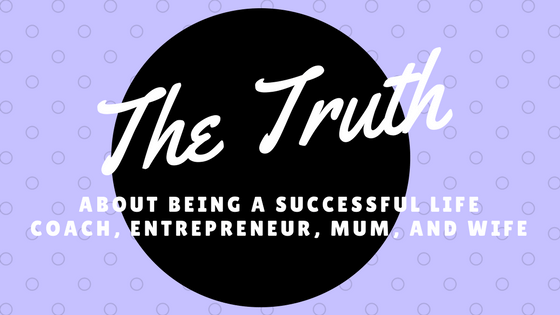 I had doubts as to whether or not I could do both gracefully and successfully, and while it hasn’t always been graceful in terms of juggling motherhood with business, I think I manage things pretty well because of the flexibility that’s afforded to me through my home business. I’m typically awake at five o’clock in the morning and I knock out a solid couple hours of work. The great thing about this is that 80 percent of my business goals are achieved in those two hours in the morning before my daughter is even out of bed! I make up the rest of my day pretty much on the fly. I could be down the beach, practicing yoga, out to lunch with my husband, playing with my daughter, getting a massage, or my personal favorite — out relaxing on the boat. The great thing is that I can work my business in the little nooks and crannies in and amongst the rest of the fun activities that I want to get done. My iPhone is the tool of the trade. As long as I’ve got access to my email and my phone, I can do my business wherever I happen to be. Well, you would be someone who has a burning desire to become financially independent. You’d be a big thinker, meaning you have a vision to create in excess of a six-figure income working from home. You would also be a professional, someone with a lot of energy, and someone who’s really striving for bigger and better results in life. You would also be someone who would have a minimum of a couple hours a day to devote to a new business venture and someone who could work autonomously from home so you could follow direction and then follow through. If this sounds like you, go ahead and contact me! I’ll get back to you, we’ll have a brief conversation and take it from there. You can view the full video of Rachel Krider’s advice here.